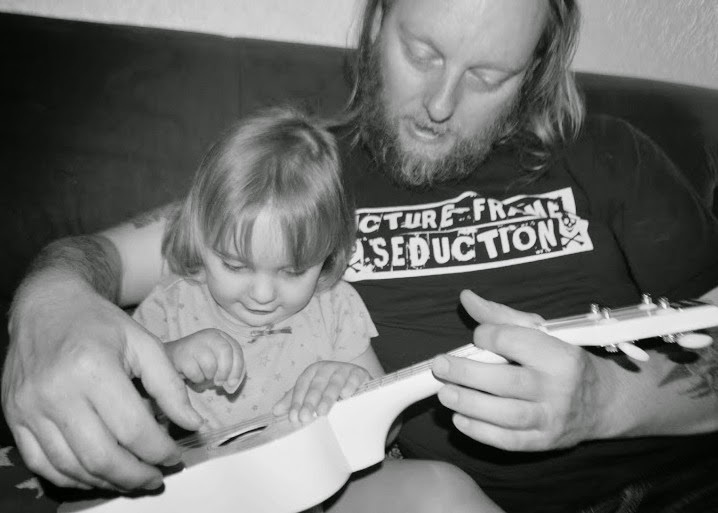 During the build up to Father’s Day I see lots of suggestions for Father’s Day Gifts but rarely any gift guides relevant to Dave that feature things he would actually like. This year I deleted the Father’s Day mail and decided to ask him, if he could have anything for Father’s Day this year, what would he really want. 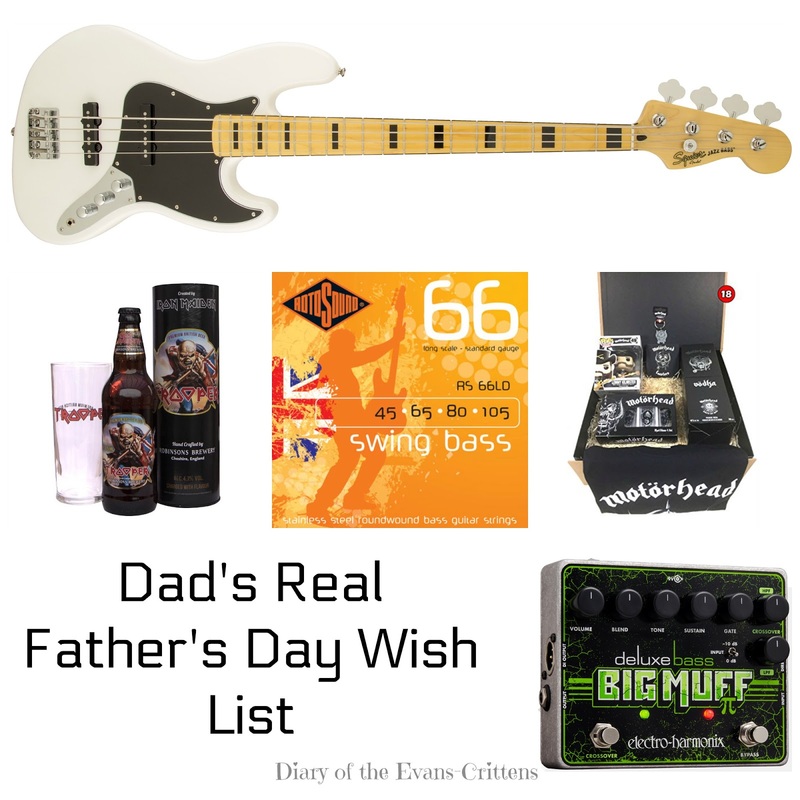 Here is his Real Father’s Day Wishlist (spoiler alert: there are no shaving kits, socks or gardening equipment featured). Well it was no surprise that this bassist has a bass on his list! I would have had no idea which bass he would have chosen though. The Fender Squier Vintage Modified Jass Bass 70’s returns you to a classic period in Jazz Bass history. Sporting two crisp-sounding Fender®-designed pickups and a slim “C”-shaped neck, the Vintage Modified Jazz Bass ’70s offers super ’70s sound and feel for today’s bassists, with superior Squier performance and value. The reviews look great and it currently costs just £330.56 (compared to £355 on the Fender site). The perfect gift for the Iron Maiden and beer loving dad is Maiden’s Trooper Beer, brewed by Robinsons Brewery. Even better than buying a few bottles of ale, there is a special Personalised Trooper Glass and Beer Gift Set available in a Trooper Gift Tube. This will cost you £31.99 (a non personalised set is available in Morrisons for just £7). Dave also loves Motorhead and Vodka so this Motorhead Luxury Gift Hamper with Vodka and T-Shirt is perfect for him. Overall it contains a 700ml Bottle Of Motorhead Vodka, set of 4 shot glasses, metal Warpig keychain, Motorhead England T Shirt (choose the appropriate size), Lemmy POP! vinyl figure and a set of 4 coasters. This luxury set costs £124.95 plus delivery but there are other sets at different prices available too. “The legendary “Green Russian” Muff (snigger) is also a real find amongst bass players, but the old original from the 90s has become a real collector’s item – rare and very expensive. Electro Harmonix have the remedy,the Deluxe Bass Big Muff PedaI . This pedal is based on the “Green Russian”, but Electro Harmonix has donated this variant some very useful additional features for bassists. The input sensitivity can be switched, so that even active bass can be adjusted easily. Another new feature is an effective noise gate, which combats noise effectively. Distortion and direct signal can be mixed – a footswitchable crossover circuit with Hi and LOPASS filter provides an additional Soundvariation.” This costs £115. So that’s our Dad’s Real Father’s Day Wish List. There are more ideas in the Father’s Day Store. I hope he’s happy with his real presents! He’s getting one out of five from his wish list- can you guess which? What would be on your real Father’s Day Wish List? Previous Post Happy Father’s Day, Dad! We Love You!